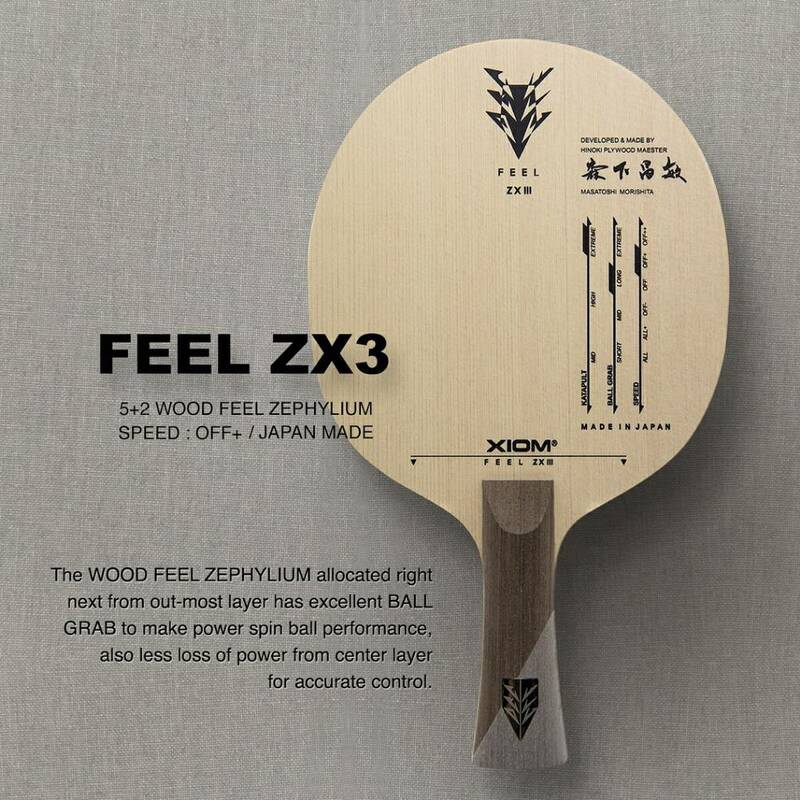 Got some of the new Xiom 'Feel' series blades in. Cool new box shapes and good quality Japan-made blades. Envy... Envy... Some of them caught my eyes when I saw them on Xiom's instagram. Btw, not all is Made in Japan. So funny, I saw one of these for the first time on Sunday at the tournament that I just got demolished in. (Lost to an underrated 1200 level guy that should get adjusted). Anyway, Michael Levene (SmashTT club owner in the DC area) had one as he is an Xiom dealer. He had one of the beta models. Supposedly these have 100 year old Hinoki outers (could be marketing, otherwise it's sad they are killing trees for a paddle). Usually they specifically said/write if they're using the spesial kind of Hinoki (Kiso Hinoki). If not, perhaps they use more common Hinoki. I haven't read anywhere about the 100 years old hinoki is being used on these blades. I searched and relooked the post on IG. On one post it said 250+ years old Kiso Hinoki. But nothing written on the blade itself (they usually do so before). "Do you feel your play changes? XIOM FEEL BLADE will lead you to unexperienced sensual play and much more victories." Has anybody had a hit with any of them? With a bounce on the blade with a ball test for speed ( or tap on head and listen to frequency ) it did seem like the Omega and Vega series before these that the most expensive do not appear to that fast? the HX Pro seems fastest, strange! Had a look around.. Only found two types. What's supposed to be special about them? ("Feel", I suppose... ) Look like fast blades. And heavy-ish. This the photo I grabbed from their IG. Didn't see anything mentioning 250+ year old Kiso Hinoki on the blade. Perhaps on the box or paper insert within the box? I just checked it, it's actually printed on the back of the blade! This blade has so many ratings, it did not fit on just one side. Looked up "Zephylium" on Wikipedia, came up with nothing. So it's not some sort of plant genus. You’re late to the party... it’s xiom’s special term for composite fiber, I think a kind of Butterfly’s zylon if I’m not mistaken.